A picnic in the park is a real pleasure with friends or family. It allows you to enjoy the good weather while sharing a meal with the people you love. But what to bring? Here is a delicious recipe idea for the perfect picnic! 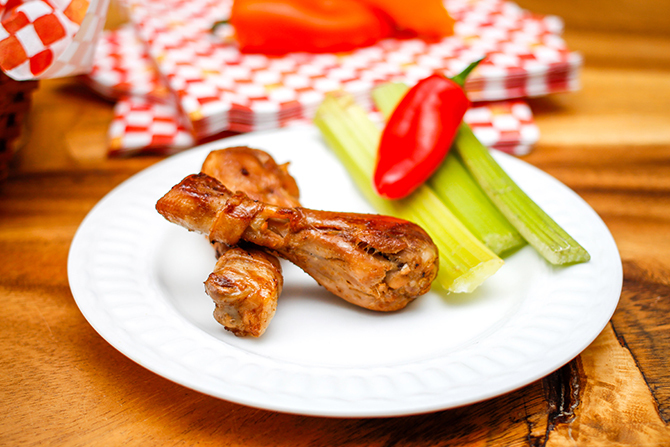 These chicken drumsticks perfect for a picnic, you can serve it with a delicious salad. I choose to cook it in the oven, because you get a quick and uniform cooking. I like to brush it with a marinade, which keeps all the flavors during cooking. At the exit of the oven, you can cut it easily and quickly. You can even keep the extra making sandwiches for lunch. 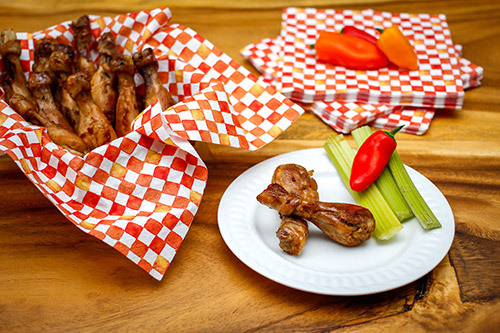 When I announce to my children that for our picnic we will have chicken drumsticks, they were very excited; they came every 15 minutes to ask me the question is the chicken was ready. Because frankly these chicken drumsticks are so good, tasty, tender and smell delicious while the cook. 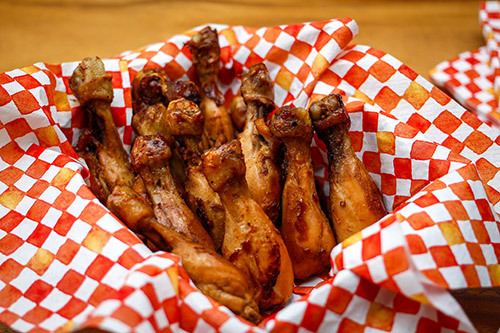 Considered the least fleshy, but the tastiest part of the thigh, drumstick is an excellent chicken recipe option. It can be cooked in a multitude of ways fried, breaded, baked or stewed ... It can also be boned and the skin can be removed t. This is truly the most versatile cut, as there is a multitude of excellent chicken drumstick recipes and cooking techniques. The temperature may vary from oven to oven. Regardless of the cooking method used, the only reliable technique for verifying that the chicken is cooked is the internal temperature of its meat. A meat thermometer inserted into the inside of the thighs (without touching the bone) should indicate at least 165 ° F.
The temperature will continue to increase by a few degrees even when removed from the oven. If a few degrees are missing at the temperature of the meat, wait a few minutes and take the temperature again. In addition, the chicken brings to your body different kinds of vitamins, all essential to the proper functioning of your body. Chicken is an important source of vitamin B3. This allows, among other things, to maintain healthy skin. It also brings vitamin B6, or pyridoxine, which enters the process of regulation and construction of tissues, from proteins. Finally, the chicken brings vitamin B5. This is particularly useful for the renewal of the skin and hair and for the functioning of the immune system. It also helps fight against stress and intervenes in the transformation of sugars and fats in the cells of the body. Marinades are an easy way to add flavor to chicken, but a good marinade will also prevent the meat from drying out. Preparing a marinade for chicken at home is quick and easy. Marinades are usually prepared with two parts of oil and a portion of acid solution such as wine, lemon juice or in this recipe vinegar, as well as little salt. Add herbs or seasonings to this mixture, in this chicken marinade we use allspice. Start with this basic formula for a delicious chicken marinade. Then let your imagination go and experiment with your own combinations of flavors! In a bowl, mix all the ingredients, garlic, brown sugar, apple cider vinegar, soy sauce, olive oil, ginger, all spice and salt and pepper. Reserve. In a large airtight bag, mix chicken and marinade. Close the bag. Refrigerate for 2 to 12 hours. Drain the chicken. Preheat the oven to 375 ˚F and place the chicken on a baking sheet. 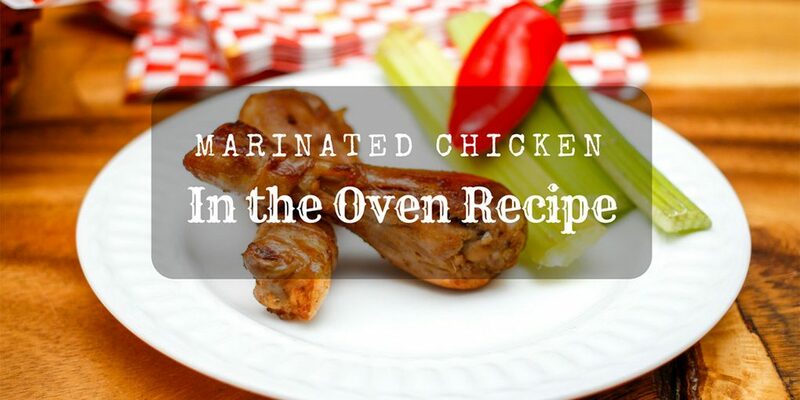 Cook the drumsticks in the oven for 40 minutes until the chicken is fully cooked and to let the marinade caramelize. Once out of the oven, cover the chicken with an aluminum foil and let it rest for 10 minutes. This allows the juices to redistribute in the meat, and this ultimately gives a softer and juicier chicken.